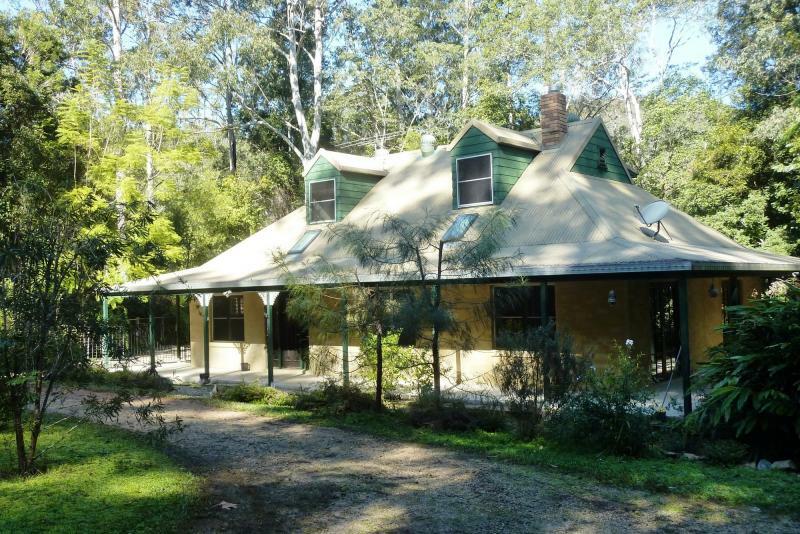 This property is located 10 kms approx from the beautiful township of Bellingen. 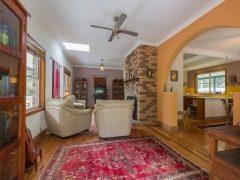 The home is set on 6 acres with a private leafy setting and Kalang River frontage. This two storey brick veneer home consists of three bedrooms, upstairs is the large main bedroom with walk in wardrobe and en-suite. Master Bedroom with reverse cycle air conditioning. Stunning timber flooring and Ceiling fans throughout. 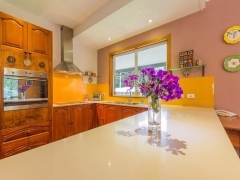 Beautiful Timber Kitchen with modern appliances, spacious open plan living areas with fantastic verandahs which wrap around the home, ideal for entertaining family and friends. The brick fire place in the lounge room has a slow combustion wood heater insert which heats the house in the cooler months. 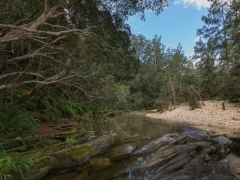 Take a walk down the private track to enjoy the pristine Kalang River take the canoe have a fish or take a swim. A submersible river pump is located in the river to provide ample amounts of fresh water for the well established trees and gardens. With fruit trees, veggie gardens with netted coverings as well as a chook pen. Fully fenced rear yard, Double lock up garage with plenty of storage. Sit and relax in the courtyard with its grape vine covered pergola and enjoy the beautiful garden. Fully fenced rear yard, Double lock up garage with plenty of storage. Two x 22,500 litre water tanks one being stainless steel providing beautiful drinking water. There are 1.5kva Solar Panels with a 5kva inverter supplying power back to the Grid. Opportunity to purchase this great lifestyle property, so call Warren today on 0427 552287 to arrange for an inspection. Only an inspection will appreciate the benefits of this well presented property! All information contained herein is gathered from sources we believe to be reliable. We cannot however guarantee its accuracy and interested parties should make and rely on their own enquiries.